Take your music wherever you go with this Mini Wireless Fabric Speaker. 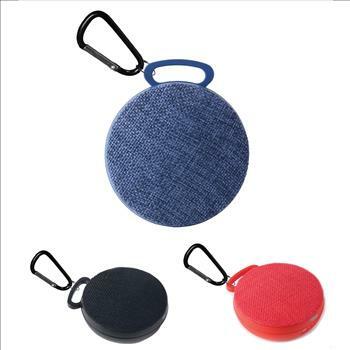 Compact and lightweight in design, this fabric speaker offers Bluetooth functionality so you can seamlessly stream media in vibrant audio from your Bluetooth-enabled devices, such as a smartphone. 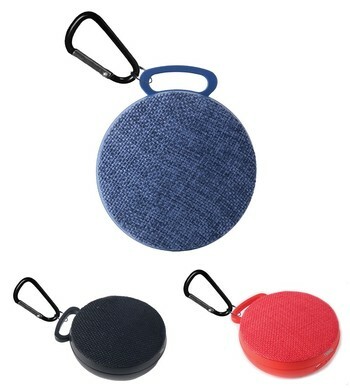 Comes with an included carabiner to attach from the convenient top handle, making it even easier to carry around this compact little speaker.